Pine Wood Dye For use on bare wood prior to finishing with any of Rustin’s wood finishes. 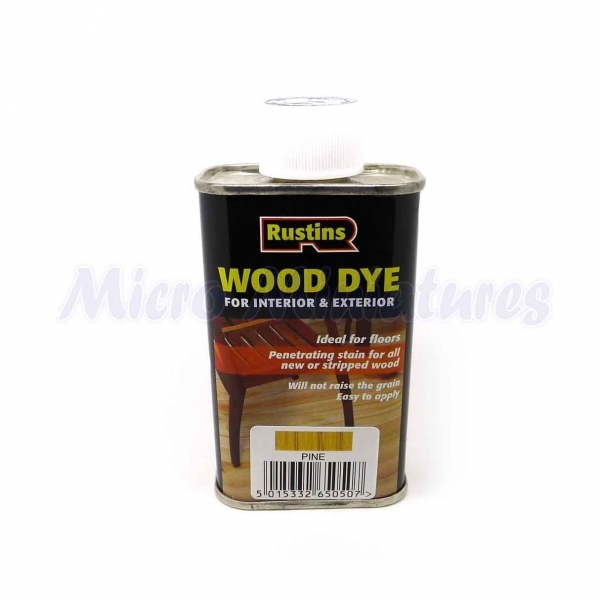 Quick drying penetrating stain, does not raise the grain. Supplied in 11 shades, which may be intermixed to make an infinite variety of natural wood shades. Suitable for interior and exterior use. 125ml tin ideal for the hobbist. Colours shown on tin match as near a possible, given posible screen colour differences.